Wow, GDBroker, talk about a successful upsell! Yeah it is more than a little alarming. Just like when I see a DoD with add-ons. Who needs add-ons with a 3000 dollar purchase. I think I'm in a more minor league with DF. I blame Stefan, and Nate and everyone else damnit! Back to the subject of what we ordered. 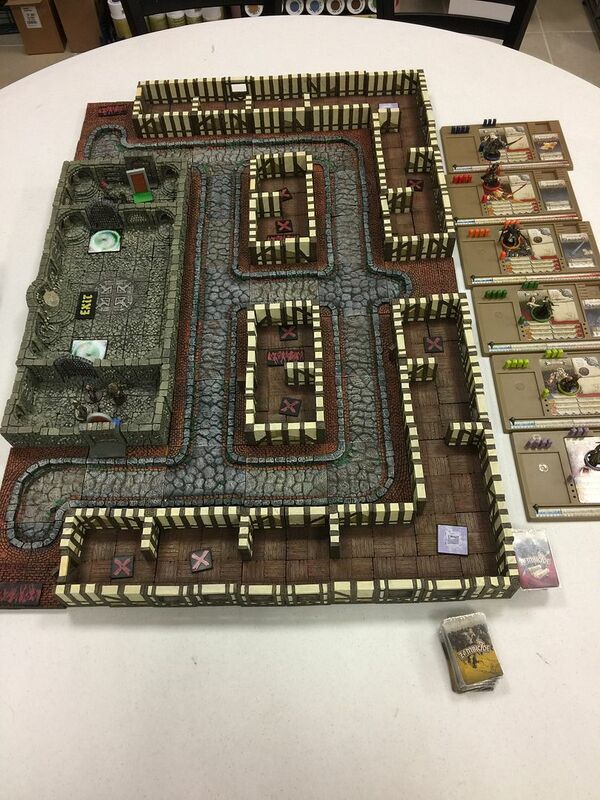 I enjoy using the Dwarven Forge tiles with Board games The Resin and 2"by 2"s work better for board games than the City builder tiles for me. I am looking forward to the wall of force , This Scenario needs two I already have a lot of tiles so the special and LED tile are a priority for me. I had 10 Players for this presentation. It was designed for the basic Black Plague set but works much better with all of the rules. Encounter Area 15: Shrine of Sysuul will give me another themed set for Conan. I am going to use the LEDs with a new board game Massive Darkness.Massive Darkness will be available retail at the end of this month. Hi Oldent - I have Massive Darkness and it's a pretty terrible game IMHO. I've played 5 scenarios. I have found that who you play with is the most important factor in my enjoyment of a game.I have found that a six player game is more fun than a two or three player game.I personally do not like Potion Explosion but have a group of friends who make it a blast. Massive Darkness is much harder to play with a small number of people.If you don't like the rules use the tiles and figures for D&D. I do not think 5 games is is enough to fully understand/experience all the rules.